The seeds of farm-to-table 2.0 have officially blown into noncommercial foodservice. 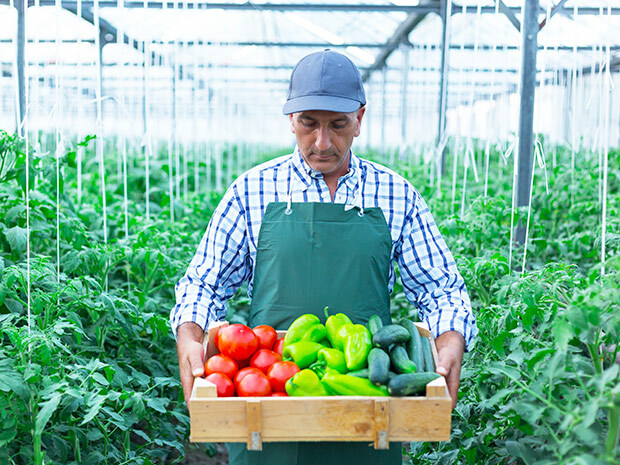 Since the movement has caught the attention of the segment during the past decade, operators have broadened agricultural collaborations outside of just supply. As a result, a new strain of the movement has been created that treats farms as allies in events, training and innovative growing systems. The 500-bed Overlook Medical Center in Summit, N.J., didn’t start out sourcing produce from local farms; instead, it administered its own growing programs, including an on-site garden and honeybee apiary. But the teaching hospital’s needs outgrew its space this year. So Overlook’s dining team joined forces with a small community farm, adding two beehives there in addition to the six rooftop hives at the hospital. Overlook also is subsidizing the costs to update chicken coops and raise chickens on the farm grounds. While health codes prevent Overlook’s dining team from cooking the farm-fresh eggs, Michael Atanasio, manager of food and nutrition, plans to add eggs to the retail regimen. “The direction we are looking to go with this is to really focus on a number of different things related to population health,” Atanasio says. In Hamburg, Iowa, the next iteration of farm-to-table is as much an exchange of ideas as it is goods. At Marnie Simons Elementary School, the agrarian community has united to take the small town back to its roots. This year, farmers have donated fertilized duck, hen and guinea fowl eggs to the school, as well as grain to feed the hatched birds, and the school has set up donations for livestock such as goats, pigs and cows to move toward a farm-to-school model. Once the red tape has been navigated, campus-laid eggs will be added to the school’s breakfast program and milk from the cows will be served in the cafeteria. “It’s a tax deduction for [farmers], but allows us to operate this at a very low cost,” Superintendent Mike Wells says. “We are currently working on forming a local farm food hub that will incorporate local farmers so that they can sell to all school districts in our county,” says Colleen Johnson, director of dining services.